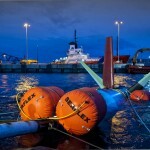 Scottish tidal turbine developer Nautricity has secured a grid connected tidal test berth at the European Marine Energy Centre (EMEC), following successful sea trials at EMEC’s non-grid connected site last year. In 2014, Nautricity tested its CoRMaT tidal energy converter and Hydrobuoy mooring system at EMEC’s Shapinsay Sound test site gaining experience of operating in real sea conditions. The company is now moving a step closer to commercialisation having secured a test berth at EMEC’s Fall of Warness test site for its next generation prototype – putting their technology to the test in some of the harshest sea conditions on the planet. 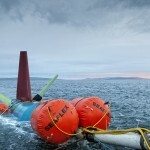 “The objectives for Nautricity’s forthcoming operations at EMEC are threefold: we want to undertake technical de-risking of a grid connected 0.5MW CoRMaT tidal turbine within higher energetic tidal sites; evaluate the performance of Nautricity’s new foundation system designed for shallower water operations; and demonstrate the ability to quickly deploy our tidal technology in tidal sites with short operating windows using smaller scale vessels. 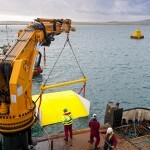 In addition to EMEC’s well-known grid-connected sites, EMEC also offers real-sea testing in the less challenging conditions of Scapa Flow and Shapinsay Sound. “Accessible real sea testing enables marine energy developers and suppliers to learn lessons earlier, more cheaply, and provide a stepping stone towards larger scale projects – as demonstrated by Nautricity’s progression. Previous testing in Orkney will stand Nautricity in good stead – not just in terms of technology readiness level, but with the whole wider supply chain.